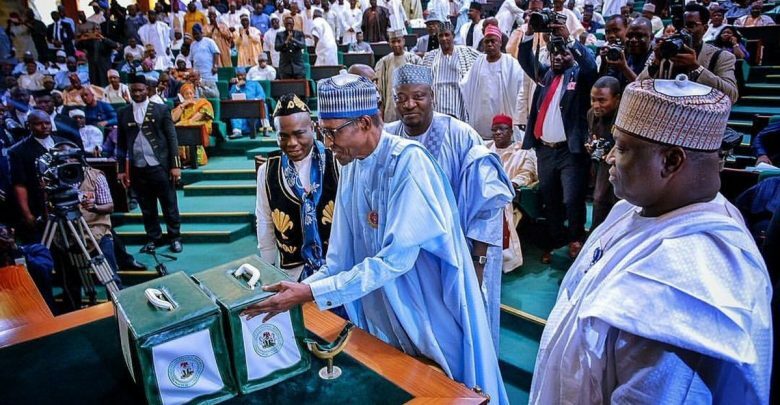 With oil benchmark for 2019 budget set at $60 on a 2.3mbpd as contained in the Appropriation Bill presented before a rowdy Joint session of National Assembly on Wednesday, there are strong indication that it may not flow as Nigeria is expected to cut its crude oil production by 3.04 per cent to 1.685 million barrels per day for the first half of next year. The cut, Business Hilights gathered, was part of efforts by the Organisation of Petroleum Exporting Countries (OPEC) to reduce oversupply. OPEC and 10 non-OPEC countries agreed earlier this month to cut oil production by 1.2 million bpd effective from January for an initial period of six months to shore up what many expect to be weakening market fundamentals ahead. Nigeria, which was exempted from the previous cuts since January 2017, was asked to join the deal during the OPEC meeting on December 7 in Vienna. With a reference level of 1.738 million bpd, Nigeria’s oil production is to be cut by 53,000 barrels to arrive at the new quota of 1.685 million bpd, according to a breakdown of member quotas under OPEC’s supply accord obtained by S&P Global Platts on Thursday. OPEC kingpin, Saudi Arabia, has pledged to lower its crude oil output to 10.311 million bpd -a 322,000 bpd cut from its October level, the document prepared by OPEC’s secretariat showed. The document showed that OPEC would shoulder 812,000 bpd of those cuts, while the non-OPEC participants would cut 383,000 bpd. Already, Oil prices climbed early this morning (Friday, December 21, 2018) after tumbling 5 percent in the previous session on signs OPEC’s production cuts that start next month will be deeper than expected. Benchmark Brent crude LCOc1 futures were up 27 cents, or 0.5 percent, at $54.62 per barrel at 0448 GMT, after dropping $2.89 in the previous session. Brent is set to drop 9.4 percent for the week. U.S. West Texas Intermediate (WTI) crude futures CLc1 rose 33 cents, or 0.7 percent, to $46.22 per barrel. WTI is set to decline about 9.5 percent for the week. Crude prices have fallen along with major equity markets as investors fret about the strength of the global economy heading into next year. Further concerns were raised as the United States, the world’s biggest oil consumer, may have a government shutdown later on Friday. The Organization of the Petroleum Exporting Countries (OPEC) plans to release a table detailing output cut quotas for its members and allies such as Russia in an effort to shore up the price of crude, OPEC’s secretary-general Mohammad Barkindo said in a letter reviewed by Reuters on Thursday. Barkindo said to reach the proposed cut of 1.2 million barrels per day, the effective reduction for member countries was 3.02 percent. Can Access Bank manage new right issue, Diamond Bank buy over together?